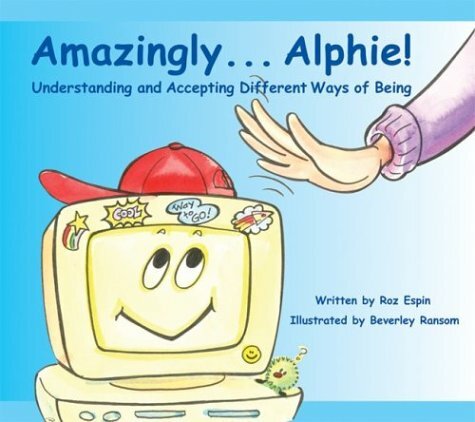 In this picture book, readers are introduced to Alphie, a computer that is "wired differently" and has trouble fitting in and performing successfully in the world around him. After beginning to doubt his self-worth and his ability to do anything right, Alphie finally meets a human, Chris, who has been hired to fix the malfunctioning computers in the lab. Chris' patient and accepting approach totally changes Alphie's life. Alphie starts to realize that being different is what makes him special, and soon he is free to use his abilities to their fullest – free to be who he was meant to be. Written for children ages 8 and up, the book fosters tolerance and acceptance while celebrating differences. Teacher read-aloud helps students better understand a classmate who is different.